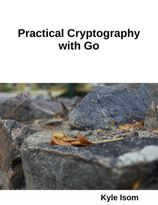 This is an introduction to cryptography for programmers; it doesn't aim to teach the theory, but rather to guide you in your attempt to understand how to use cryptography to secure your services. We'll talk about where it fits into the big picture, and illustrate it using The Go Programming Language. Some of the things we'll discuss are symmetric, asymmetric, and hybrid cryptography, message authentication codes, trust, and how to engineer these systems properly to mitigate risk. Kyle Isom is a systems engineer at CloudFlare, where he is currently focused on developing secure systems at scale with Go.